A new type of assessment, developed by HireIQ Solutions, uses a job candidate’s emotional disposition mined from natural-language voice interviews to reliably predict the candidate’s potential to achieve key business outcomes such as tenure and job performance. This process is transparent to the candidate and is immune to the “gaming” tactics candidates often employ with traditional behavioral, cognitive, personality and intelligence assessment. This yields a more accurate and reliable measure of an applicant’s potential. This paper describes the academic and organizational foundation upon which this emotional assessment was created, HireIQ’s approach for developing the capability, and reported customer results. Download a PDF of this white paper. During the pre-hire phase of their employment, Customer Service Professionals (CSPs)-to-be are often subject to a series of interviews and assessments which are intended to determine their suitability for the job. This process is designed to measure each candidate’s technical proficiency, personality, cognitive ability and other factors that are purported to be forward-looking indicators of job performance and risk of attrition. 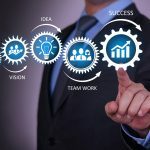 Despite these investments, turnover in the contact center industry has remained unchanged over the past several years, suggesting that these tools are not entirely effective and that a new assessment approach is warranted. An individual’s personality tendency to react to situations in a stable, predictable manner is known as “dispositional affect” and academic research concludes that there is a strong link between an employee’s emotional disposition and key job performance attributes including turnover, absenteeism, workgroup dynamics, customer interactions, and attainment of performance goals. This paper describes a new style of pre-hire assessment that uncovers a job candidate’s emotional disposition and other characteristics, and is known to predict job performance and employee engagement potential. This assessment uses an innovative, patent-pending voice analysis software application developed by HireIQ Solutions, which automatically identifies applicants who exhibit the characteristics of long-tenured, well-performing employees. CSPs often form a customer’s first impression of a company. To be effective, they need to possess excellent communication, language, active listening, and critical thinking skills in order to deliver exceptional service and achieve a company’s customer satisfaction goals – a common measure with customer service organizations. The customer contact industry spends billions of dollars each year – conservatively estimated at $13 billion each year – sourcing, screening, onboarding and training CSPs. Although this process is intended to identify best-fit applicants for a company’s open positions, the industry remains saddled with persistent turnover – averaging 30% or more annually according to industry analysts, with some companies reporting over 100% turnover – and poor CSP performance. The economic impact of this attrition can be significant. The generally accepted industry cost to source, hire, onboard, and train a CSP is $6,500 each which results in millions of dollars in hiring costs alone for many companies. Therefore, even a small improvement in employee retention can yield remarkable results to a company’s bottom line and overall performance. The hiring process often consists of several sequential steps that may include one or more interviews (phone or in-person), personality, behavioral, skills and/or cognitive assessments that are all supposedly designed to determine the candidate’s suitability for the rigors of contact center work. Yet, the organizational science that created these behavioral, cognitive, intelligence, and personality assessments was developed in the 1950s and has changed very little since then. Candidates are often aware of what an assessment is intended to measure and will take steps to “game the system” by providing responses that aren’t true indicators of the candidate’s being. A less intrusive, more transparent, and more effective assessment strategy is therefore needed. The influence of emotions and emotional intelligence on work performance, work team dynamics and business outcomes has been a focus of organizational research in recent years. Known as “emotional affect,” it encompasses a broad range of feelings including discrete emotions and has significant implications in organizational behavior. • Positive emotions are an indicator of heightened conflict-resolution abilities – often needed with difficult customers and helpful in customer support roles. A person’s emotional affect is not easily measured using traditional cognitive, behavioral or personality assessments, nor is it easily faked. However, it can be easily detected by analyzing an employee’s or job applicant’s voice for key emotional factors. This increases the value of the early-stage telephone screen in determining a candidate’s suitability for a particular job. With today’s voice analysis software, relevant attributes of a candidate’s recorded telephone interview can be extracted and interpreted, resulting in an automated recommendation as to the candidate’s fitness for their desired job. In the case of customer service professionals, a telephone interview is a very common step in the recruitment process. Analytics can be applied to discover the candidate’s emotional make-up and affect, and a determination made as to that applicant’s potential for performance, tenure, and leadership. AudiolyticsTM is a HireIQ-developed, patents-pending, advanced voice analysis software application that mines recorded, natural-language candidate interviews for these emotional characteristics and uses them, in addition to other features of the recorded audio, to predict a job applicant’s potential to be a high-performing, long-tenured employee. To develop its predictive performance and retention models, HireIQ analyzed millions of candidate interview data points for real-life CSP jobs recorded through the company’s leading InterviewIQ digital virtual interviewing solution. Candidates are presented several questions through an interactive voice response software application and their responses are recorded for further review and analysis. Each candidate for the specified job position is presented with the same set of questions, providing a consistent baseline from which the analysis is done. Each recorded interview was stripped down to a set of relevant features and compared to HireIQ-developed models that are initially optimized for CSP retention and performance. Audiolytics displays its recommendation to the user in the form of easily understood icons: a candidate who fits the predictive model for performance and tenure well is assigned three green balls; one who does not fit the model well is assigned one red ball; and one where a neutral prediction is made is assigned two yellow balls. To create a predictive model tuned to a specific client’s desired business outcomes, additional pre-hire data in the form of tests and assessments can be used in addition to the Audiolytics results. HireIQ has already proven the positive impact these predictive models have on key outcomes including employee retention, customer satisfaction (CSAT), and first call resolution (FCR). This approach is flexible enough to include other, customer-specific outcomes such as sales conversion, quality monitoring evaluation results, or balanced scorecard values and is incorporated as HireIQ’s Candidate Optimizer offering. All of this is made possible through HireIQ’s use of advanced machine learning techniques, which use specially-developed models, tuned to render highly-reliable results. This machine learning approach continuously adapts the predictive models to reflect updated key performance outcomes that produce results that improve over time and can automatically adjust to new data inputs. These Audiolytics models, when combined with a specific customer’s unique tenure and performance data create a powerful, self-improving, continuously-validating predictive performance approach that improves the customer’s long-term results. As more data are collected, the accuracy of the predictive models is improved. Subsequent job applicants are therefore compared against a higher standard, improving the overall quality of the candidate pool. HireIQ worked closely with its customers to collect employee retention and performance statistics at key post-hire milestones: training complete; training plus 30 days; training plus 60 days; and others. The company correlated these data with the Audiolytics pre-hire recommendations to determine the extent: 1) of predictability of the Audiolytics models; and 2) the retention and/or performance improvement that could be gained from integrating HireIQ and Audiolytics into the applicant screening process. The measure of effectiveness for any assessment is whether or not it has a positive, measureable impact on business performance that can be directly attributable to its use. HireIQ’s Audiolytics is unique in that it can impact multiple key performance metrics simultaneously. Furthermore, when observed customer results are reported, the assessment is continuously validating and self-improving, thereby increasing its effectiveness over time. The following case studies represent real-world examples of customer care organizations that have implemented HireIQ’s Audiolytics predictive performance analytics software to improve their selection of agent applicants. For many contact center operations, a key employee lifecycle milestone is 90 days post-training. This is generally the threshold after which the employee is skilled and proficient enough to return value on their recruitment and training investment. Industry analysis suggests that as much as two-thirds of a company’s total attrition occurs before this 90-day milestone, which makes it critical to retain employees past this date. A little more than half of the agents hired before implementing our predictive analytics were retained past the 90-day tenure threshold. Job applicants who were recommended by HireIQ’s Audiolytics model showed a significant improvement in short-term retention. In order to rapidly fill new-hire classes, this customer had to hire applicants that weren’t recommended by the Audiolytics predictive analytics and, not surprisingly, a much lower proportion of applicants achieved the critical 90-day threshold. This improvement is economically significant as well. 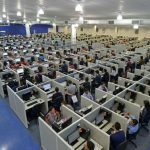 For a modest-sized, 2,000 agent contact center operation experiencing the industry average annual turnover of 30%, 600 new hires are needed just to replace those lost to attrition. This is an annual hiring cost of $3,900,000. A nominal 5-point improvement in retention results in a 17% reduction in hiring costs alone. For a contact center to operate most effectively, it must retain its high-performing agents for the long term. This helps to not only ensure continuity of service to its customers, but also to hold the line on new hire training and onboarding costs. Experienced agents have better product knowledge, are more efficient, and deliver a better overall customer experience. Before HireIQ was deployed, only about 1 in 8 new hires made it to their one-year anniversary. When the client selected agent candidates that were recommended by Audiolytics, one-year retention doubled. Agent candidates not recommended by Audiolytics were also hired and, as predicted, they did not make it to their one-year anniversary. 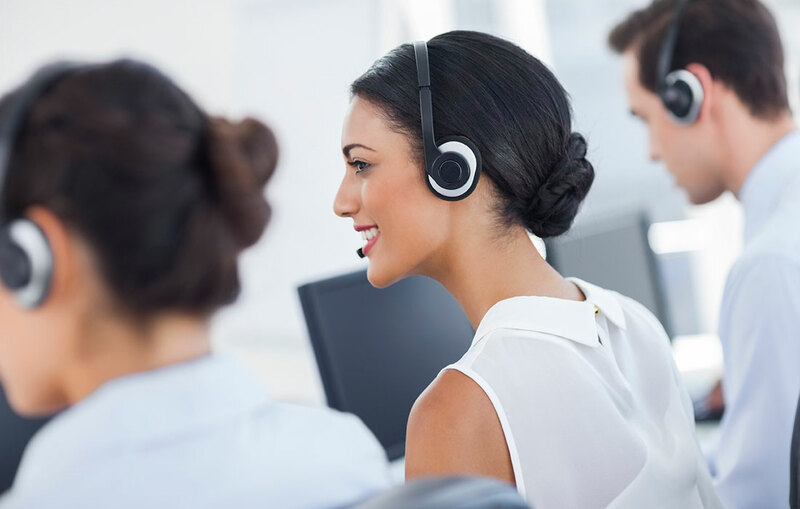 Customer satisfaction is quickly becoming one of the most important and meaningful operational metrics in today’s contact centers. The extent to which customers are satisfied with their agent interactions is a reflection on customers’ overall satisfaction with the company and has a direct bottom line impact. Improving customer satisfaction by just a small amount can have a significant effect on a company’s financial performance. Nearly two-thirds of existing agents achieved their CSAT objectives. Once HireIQ was implemented, newly hired agents who were recommended by Audiolytics achieved their CSAT objectives as a rate approximately 37% greater than before. Agents who Audiolytics did not recommend achieved their CSAT goals are a rate less than half of the existing agent population. Improvements in customer satisfaction have a direct impact on a company’s financial performance. Industry studies routinely conclude that satisfied customers tend to buy more, will be retained longer, and therefore contribute to a greater customer lifetime value to the organization. Customer satisfaction is resistant to price pressures as well. Studies show that customers are often willing to pay a higher price in exchange for superior service. First call resolution is also an important customer service metric. It purports to measure the frequency with which the customer care agent resolves a customer inquiry on the customer’s first call. FCR has an impact on overall CSAT – the theory being that customers whose issues are resolved the first time report higher CSAT scores. It also has a significant financial impact as increased FCR means fewer follow-up calls (with their attendant telecom costs) and less redundant work due to fewer recurring calls. Slightly less than half of existing agents achieved their FCR objectives. After implementing HireIQ, newly hired agents who were recommended by Audiolytics nearly two-thirds of newly-hired agents achieved their FCR objectives. Agents who Audiolytics did not recommend achieved their CSAT goals are a rate less than half of the existing agent population. An improvement in FCR attainment results in downstream improvements in other areas, such as an increase in customer satisfaction and retention, a reduction in telephony and call handling costs, and an improvement in service level. HireIQ’s novel Audiolytics and Candidate Optimizer software is a customer-proven predictive analytics application that has yielded significant results in dramatically reducing CSP attrition as measured at key tenure milestones and predicting improved performance against key performance measures. 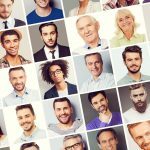 By automatically identifying those job candidates who are likely to perform well and be retained longer (and, conversely, identify those who are likely to be poor performers and early-tenure flight risks), customer service organizations can realize significant recruiting and hiring hard cost savings. Collateral benefits include increased customer satisfaction and retention, increased employee satisfaction and engagement, and improved recruiting team performance and effectiveness. For more information regarding Audiolytics, Candidate Optimizer, and HireIQ’s solutions for improved employee selection, retention and performance, please contact HireIQ Solutions at +1-678-279-2830 or https://www.hireiqinc.com/about/contact. The commentary regarding the role of emotion and affect on organizational performance was derived from “Why Does Affect Matter in Organizations” by Sigal Barsade and Donald Gibson, Academy of Management Perspectives, February, 2007, pp. 36-59.